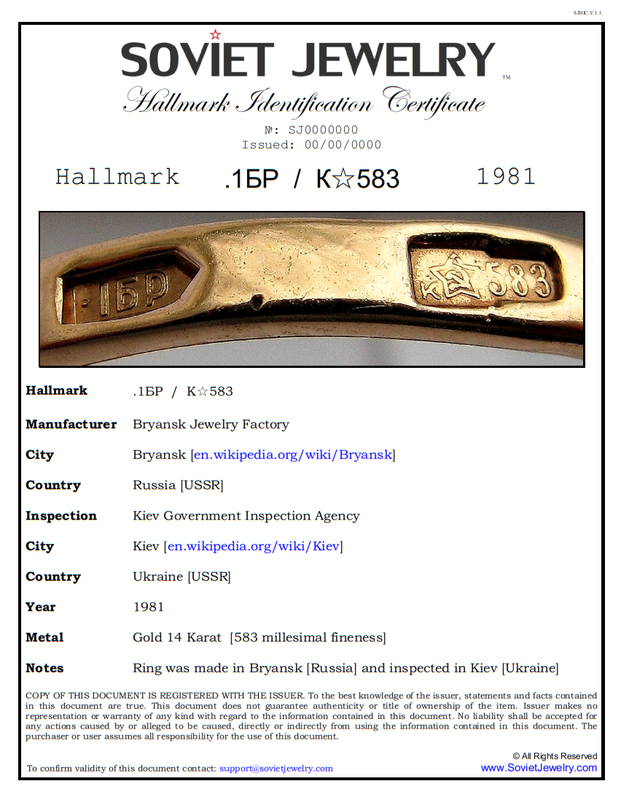 Owners: Protect and increase value of your Soviet Gold and Silver Jewelry by acquiring our Certificates Of Authenticity. 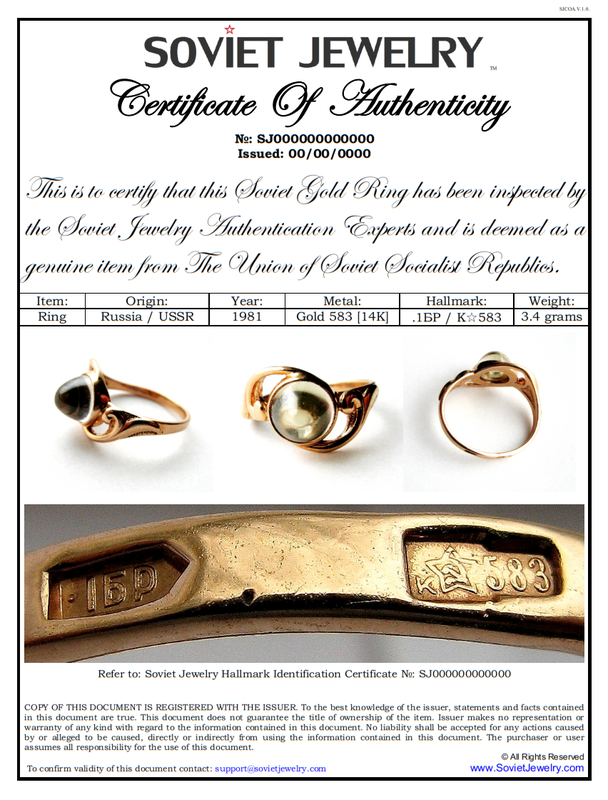 We can issue Certificates of Authenticity only after our experts personally inspected and certified that your item is authentic Soviet Jewelry. In order for us to do that you must ship the item to our office in Canada. After receiving the item, we perform a visual inspection, hallmark identification, metal analysis and thorough examination. Only after your item is certified as Authentic Soviet Jewelry the Certificate Of Authenticity is issued. Once the item and all documentation are in order we ship everything back to you via registered mail. NOTE: We do not charge our authentication fee if your item did not pass certification. You will however be required to pay return shipping & handling fees. Attach good quality images of the item and its hallmark(s). Not ready for Certificates Of Authenticity? For every ordered Certificate Of Authenticity you will also receive our Hallmark Identification Certificate - FREE of charge!